Ohio Gov. 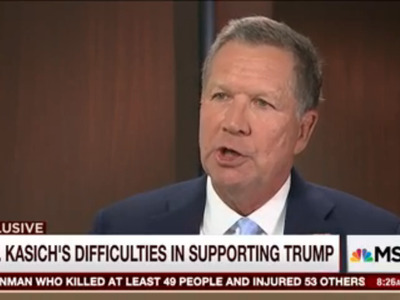 John Kasich candidly explained in an interview that aired Thursday why he was still unable to support Donald Trump. Appearing on MSNBC’s “Morning Joe,” Kasich was asked by host Joe Scarborough about his failure to provide the New York businessman with an endorsement. 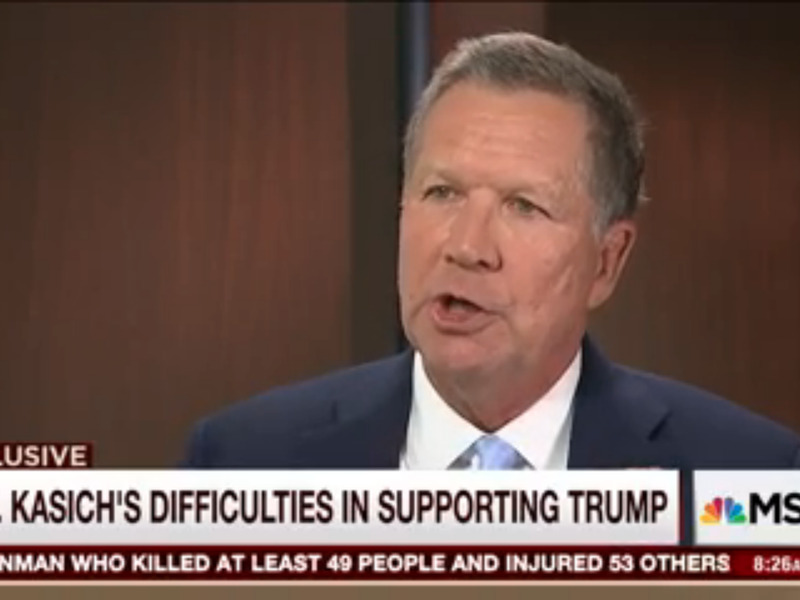 Kasich previously signed a pledge promising to support the Republican nominee. “Either their needs to be a dramatic change, or I can’t find myself there,” he said. Kasich quoted NFL quarterback Michael Vick, who served time in prison for running a dogfighting ring, as a way of alluding to Trump’s small window to make changes to his campaign. “I mean those are outrageous things,” he said. Asked about how Trump was able to surge in the 2016 race, Kasich placed blame on the press for giving Trump billions in free media. Scarborough interjected to say that he would have accepted Kasich calling into the show at any time, just as he did for Trump. “Was there not a fixation on him by the media?” he asked. During a Wednesday campaign rally in Atlanta, Trump delivered a strong message to prominent elected Republicans who have publicly rebuked policy positions and sometimes controversial statements made by the billionaire.